Pacific City, Oregon (October 11, 2016)—Pelican Brewing Company has earned a silver medal at the 2016 Great American Beer Festival (GABF) competition for its Latin-inspired lager, Pelicano EXTRA! The beer, which also won a Gold Medal at the North American Beer Awards earlier this year, was recognized in the International Style Pilsner category. 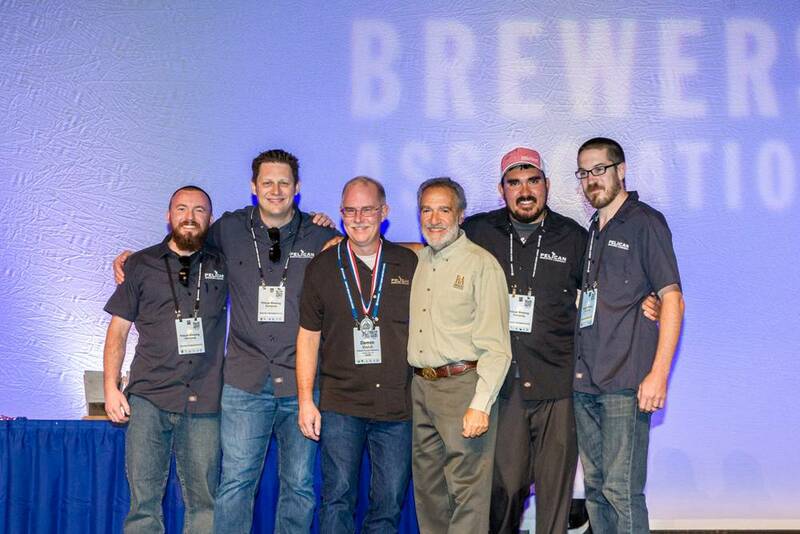 Presented by the Brewers Association, GABF is the largest commercial beer competition in the world and recognizes the most outstanding beers produced in the United States. The top three winners in the competition’s 96 beer-style categories were just announced at the Great American Beer Festival awards ceremony held at the Colorado Convention Center in Denver, Colorado. “Pelicano Extra! is a great beer that bridges the gap between depth of flavor and approachable drinkability. Clean lager characteristics let the wonderful malt and hop flavors shine through without any heaviness or harshness. Pelicano—refreshing, flavorful and smooth—pays homage to our roots at the beach,” says Darron Welch, award-winning brewmaster at Pelican Brewing Company.